Commercial Investment with Upside Potential! 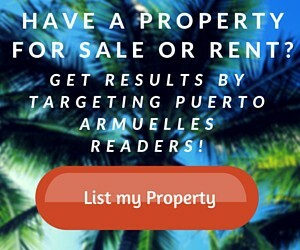 Visit Puerto Armuelles > For Sale > Commercial Investment with Upside Potential! Live your Dream in Paradise! The opportunity of a lifetime! 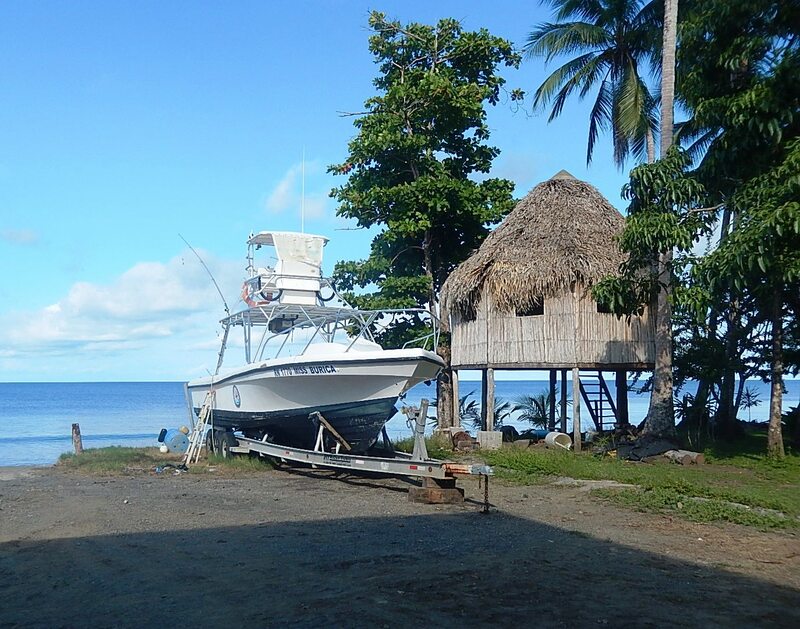 One of the top deep sea fishing lodges in Panama, established over 10 years, is being offered for sale as the owners have decided it’s time to retire. 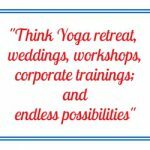 This is a business that has an established reputation and so much potential for expansion that a new owner could take it to the next level with just a little effort! 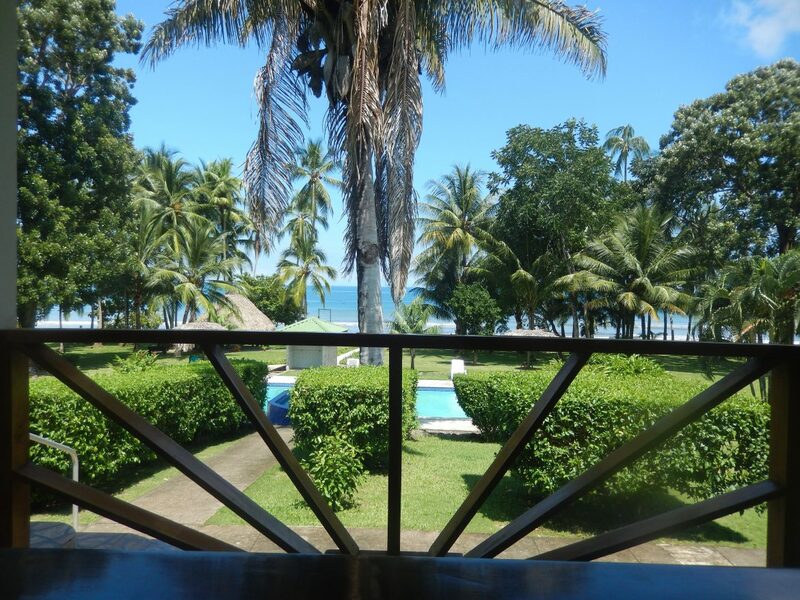 Located on the beautiful and serene jungle coast of Punta Burica Peninsula, only about 20 minutes from the town of Puerto Armuelles and close to the border of Costa Rica. 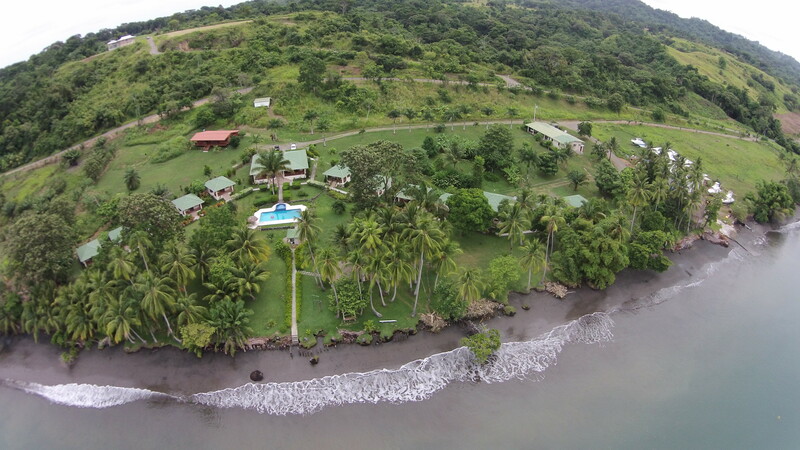 Punta Burica is being looked at by the Panamanian Tourism Authority as a new Hot Spot for Eco-tourism in the country. 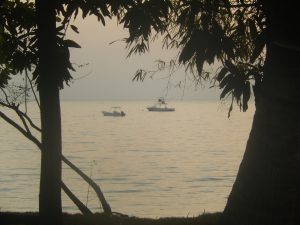 The area is still predominantly undeveloped and thriving with an abundance of wildlife, including several species of monkeys, iguanas, and a wide assortment of exotic birds. 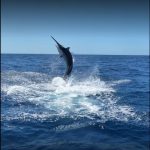 With 7 miles of coastline on one of the best fishing bays (Charco Azul in Chiriqui Bay) in the world, including the nearby world renowned Hannibal Bank, the boats often catch Giant Yellowfin Tuna, Black Marlin, Blue Marlin, Sailfish, Wahoo, and Dorado (Mahimahi). To date, the owners have been mostly just targeting deep sea fishermen, catering to groups, as an all-inclusive fishing lodge. The high season runs from about December – April, leaving the rest of the year available for other sources of income that have not yet been tapped into. 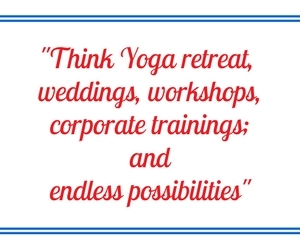 Think Yoga Workshops, Company Retreats, Weddings, Reunions, and the potential is endless! The main lodge is 3000 square feet and made of beautiful native hardwoods and Spanish tile, with meticulous attention to detail. 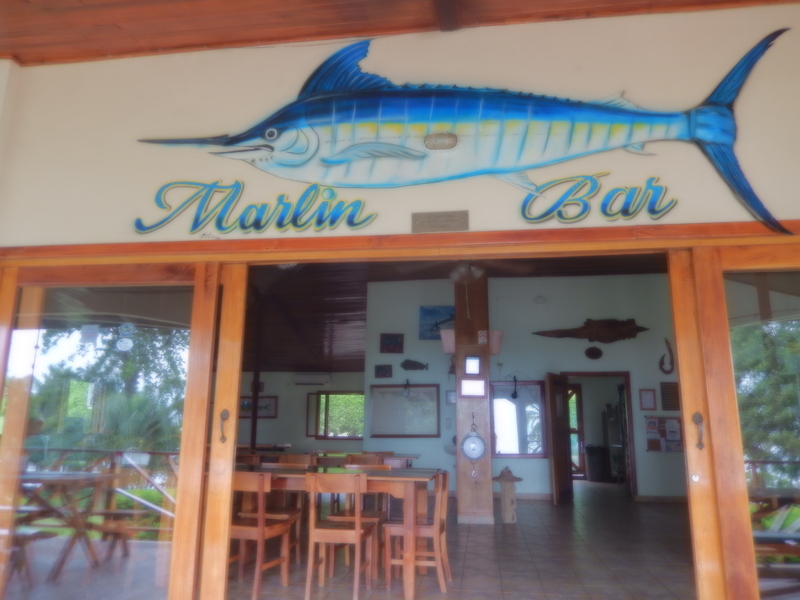 There is an indoor/outdoor restaurant with a full kitchen, a bar and lounge area with books, card tables, and a pool table, and a large deck facing the ocean. The inside of the lodge is air-conditioned, though the ocean breezes keep it quite comfortable to sit and enjoy conversations and breathtaking vistas on the deck. If you want to cool off or exercise a little, try the swimming pool in front of the lodge, with poolside tables and lounge chairs and an outdoor shower. There are 11 individual studio cabins, fully furnished and air-conditioned, all facing the ocean with their own private decks. Each cabin is equipped with its own bathroom, television and internet Wi-Fi. One of the cabins is 2 story and is occupied by the current owners. There is also a fully furnished duplex behind the lodge, up a small hill so it also has a view, which is rented out to occasional longer term tenants or left open for visiting friends and relatives. On the north side of the property is a large boat shop, where boats have been built and are dry-docked for repairs. It is fully equipped for building/repair and includes a tractor for pulling boats in and out of the water at the boat launch located on the beach in front of the building. There are a few outside boat owners who occasionally pay to have their boats launched or pulled out and even stored on land at the facility. Much needed Marina potential here? This could be the first point of entry to Panama from boats coming up the coast from Costa Rica! The entire property is expansive and landscaped with an assortment of tropical flowers, fruit trees, and exotic plants. There is plenty of room for expansion, with areas that are not currently being used. 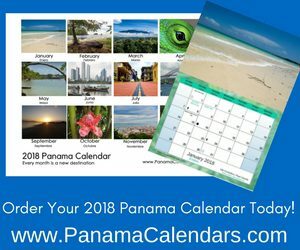 The nearby town of Puerto Armuelles is about to undergo massive changes and growth due to the recent signing of a deal between the Panamanian government and Del Monte to revive the banana industry here. Starting in 2018, they began operations and will be employing over 3000 direct jobs and 10,000 indirect jobs. 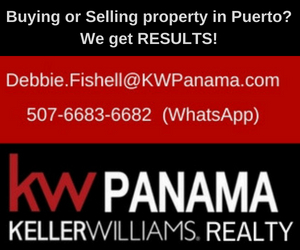 Puerto has all of the needed amenities including a newly renovated hospital, banks, restaurants, hotels, grocery stores, and other shopping. There is even a small private airstrip, undergoing renovations and due to re-open in 2019! 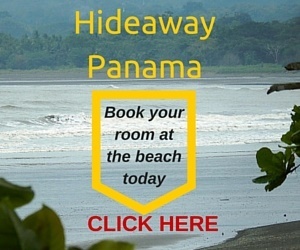 1 ½ hours away is the second largest city in Panama, David, with more choices in shopping and activities. David has the nearest International Airport. A complete asset list and financials are available upon request, from qualified buyers, after signing a non-disclosure agreement. The property and business are available, along with client lists, website, assets, and trade name rights and a new owner can easily step in and take over the operation after a short training period. Current staff could stay on, including a lodge manager, to assist in the transition. 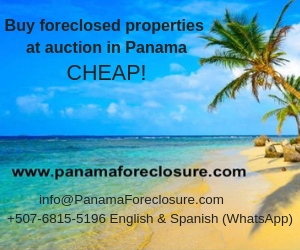 The current owners may entertain other offers, such as splitting off the boat building/repair/storage portion of the business as a separate entity, and possible financing. Bring your ideas to the table and let’s discuss options! I am interested in purchasing this property through my U. S. Corporation.